You sleep — we sweep! We have the ability to handle power sweeping jobs of all sizes, from local, one time immediate service projects to ongoing, national contracts requiring coverage at multiple locations throughout Connecticut. 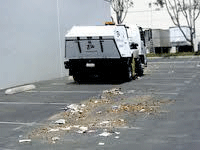 From sweeping construction sites to keeping the exterior of shopping mall parking lots and warehouses looking the very best possible, West Haven Street Sweeping has the experienced personnel and sweeper fleet to do a great job for you. 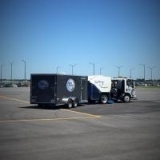 When you specify our organization, you may be assured you will have the people and the equipment to meet all your sweeping and exterior maintenance needs. 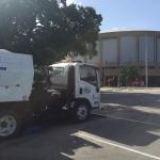 When you choose the professionals at West Haven Street Sweeping you will be supporting a local company with ties to our area, not a national company that doesn't know our area and its unique needs. We are also contributors to the quality of life in our community. The West Haven team supports Smilow Cancer Hospital's CLOSER TO FREE bicycle ride for dollars program to eradicate cancer and help local cancer patients and survivors. We sweep throughout the state of Connecticut. If you have the need for sweeping anywhere in our Connecticut market area, we ask that you give us a call, at 203-537-0600, for a free professional assessment of your needs. 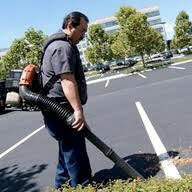 You may also reach us via email sent to info@westhavenstreetsweeping.com.